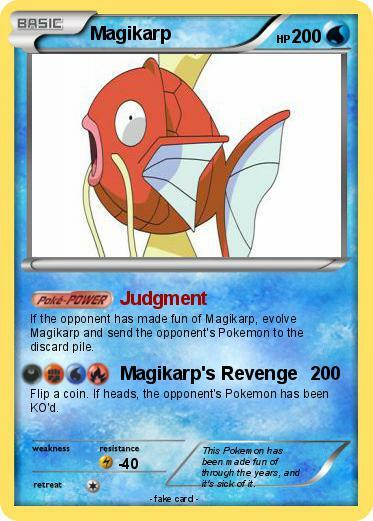 If the opponent has made fun of Magikarp, evolve Magikarp and send the opponent's Pokemon to the discard pile. Flip a coin. If heads, the opponent's Pokemon has been KO'd. Comments : This Pokemon has been made fun of through the years, and it's sick of it.